If you are planning on an Asian tour, cut back on those “traveling by air” ideas, because Asia demands your attention. With its exotic locales, beautiful rivers, glorious landscapes and magnificent cultural heritage, a train ride is what you need. Back in the days when planes weren’t such a popular mode of traveling, train rides were considered as one of the safest and most enjoyable modes of cross city (as well as cross countries) traveling. To fill your journey with soul enriching sights, here are five amazing train rides in Asia that you must absolutely experience. The Eastern and Oriental Express started off in 1993 with its main destinations being Singapore, Malaysia and Thailand. It’s not just an ordinary train ride taking you across destinations. It’s a cruise train that takes you to specific locales of the three countries, giving you a remarkable chance of discovering magical landscapes of South-East Asia. There are two journeys, beginning with the first one being a regular train ride of three days between Bangkok to Singapore. The second journey is an extended tour which is named as, “Chronicles of South-East Asia,” and has four trains taking you onto three exotic locales of Thailand, Malaysia and Laos. This tour takes a maximum of 7 days and 6 nights. It has all the essentials of a luxury train, including fine dining of Asia’s most exotic cuisines, beautifully designed interiors and culturally entertaining elements to give you the journey of a lifetime. Whoever thought a train ride from China to Tibet would be possible? With all that frost and rugged terrain, it was considered almost an impossible mission to build a railway track. But, if the Chinese could build the Great Wall of China, what’s so difficult in a rail track! Build they did and in 2006, China’s Qingzang Railway lines opened to a journey from China to the Himalayan Kingdom. 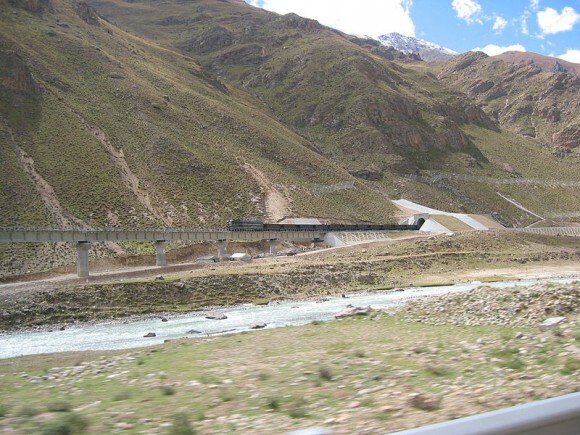 Build at a height of 5, 072 meters above sea level, it is considered as the world’s highest railway line. Traveling on this train means grabbing the opportunity of staring at the world’s most beautiful valleys, snow capped mountains and landscapes that is nothing short of soul enriching. When it comes to Asia traveling, India can never be missed out. The second largest country in the continent, India is a rich cultural country that offers you a glimpse into the world of tradition, religion and celebration. 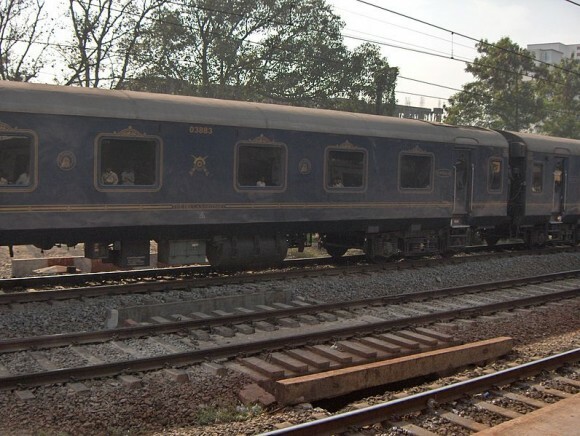 And the best way to tour around India is through the ultra luxurious Deccan Odyssey train. Traveling through Maharashtra, Mumbai and Goa, the train takes you through a journey of Goa beaches, ancient sites of Nasik, awe binding caves of Ajanta, rush life of Mumbai and the beautiful landscape of Maharashtra. If India’s on your travel list, better book for a nostalgic time on the Odyssey. The Golden Eagle is a magnanimous train offering the journey of a lifetime from Russia to China. It was launched by Prince Michael of Kent in 2007 and ever since has been one of the most luxurious trains to travel across ten countries located between Russia and China. Mongolia, Kazakhstan, Uzbekistan, Turkmenistan, Belarus, Azerbaijan, Georgia and Armenia are countries where the Golden Eagle train network travels across. There are fifteen journeys to choose from, each with its own specific destinations and trains equipped with high class dining, luxurious compartments and services to make you feel top of the world. Are you in the mood of experiencing Trans-Siberian relations? Let the Golden Eagle fly you away. It’s a tad bit early to be talking about this train as it’s expected to officially start running from October 2013 but since it’s already popular at being one of the most pleasurable deluxe train, a little indulgence is called for. 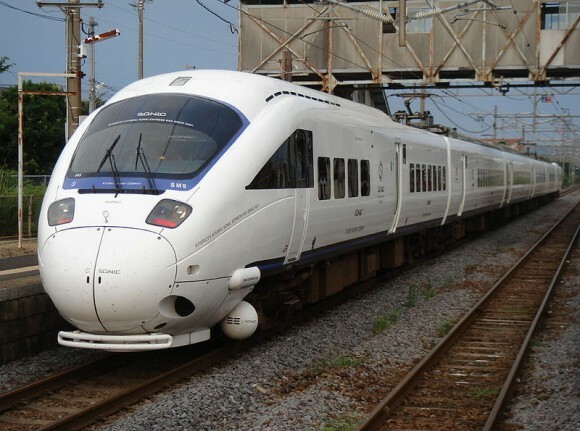 Focused only on Japan, the train will take you through a journey, where you will experience the seven main features of Kyushu – Nature, History & Culture, and Friendliness of the people, Japanese Cuisine, Hot Springs, Power Spots and finally Train Travel. The train is made up of seven departments or cars; five are sleeping cars, one is a lounge car and the last one being a dining car. In each of the cars, you will experience the seven factors of Kyushu. Already being hyped as an ultra modern, technologically advanced train, the Seven Stars is very much anticipated. So, if you ever decide to go on an Asian tour, set aside plane bookings and instead focus on train rides. A train cruise is all you need to truly experience Asia at its best. Roberto writes on topics related to traveling and tourism. If you are planning a trip, you can try fromatob that will let you find the cheapest traveling options including flights, trains and rental cars.